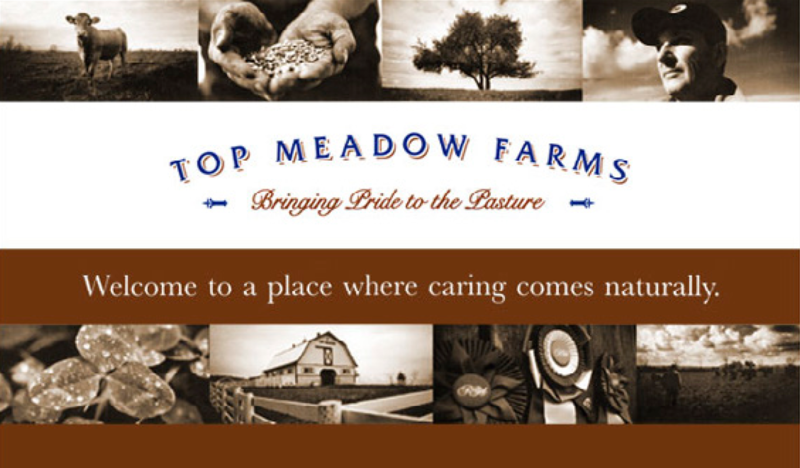 Top Meadow Farms is a farm with an exceptional herd of Limousin cattle. 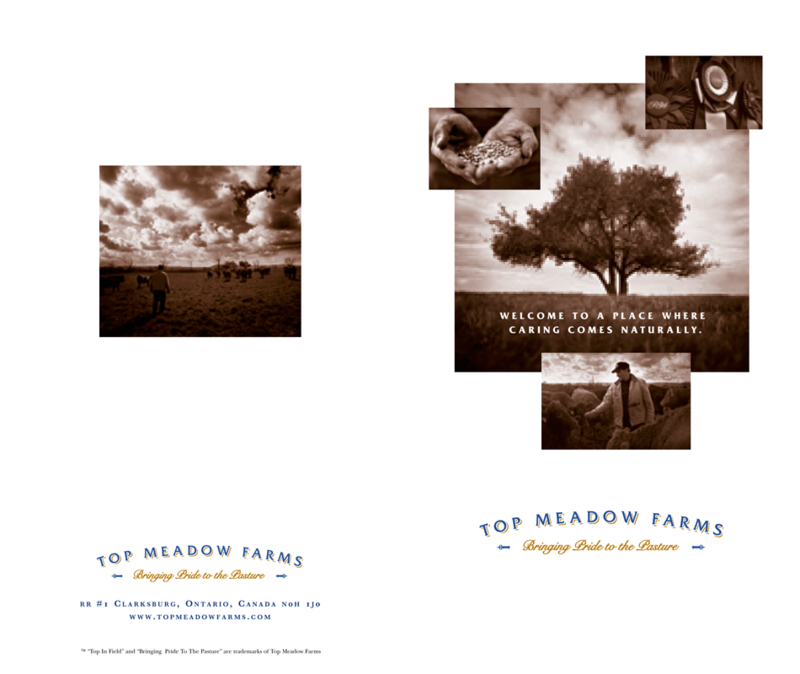 The farm was best known for its breeding operation. 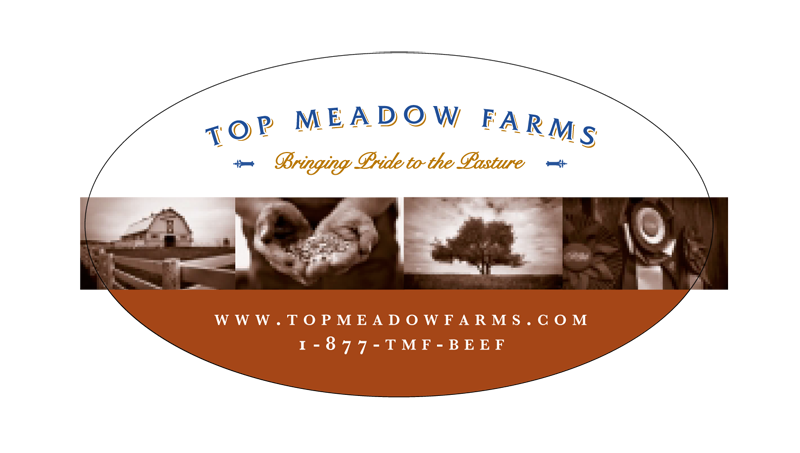 However, a decision was made to introduce a line of naturally raised beef products to consumers. 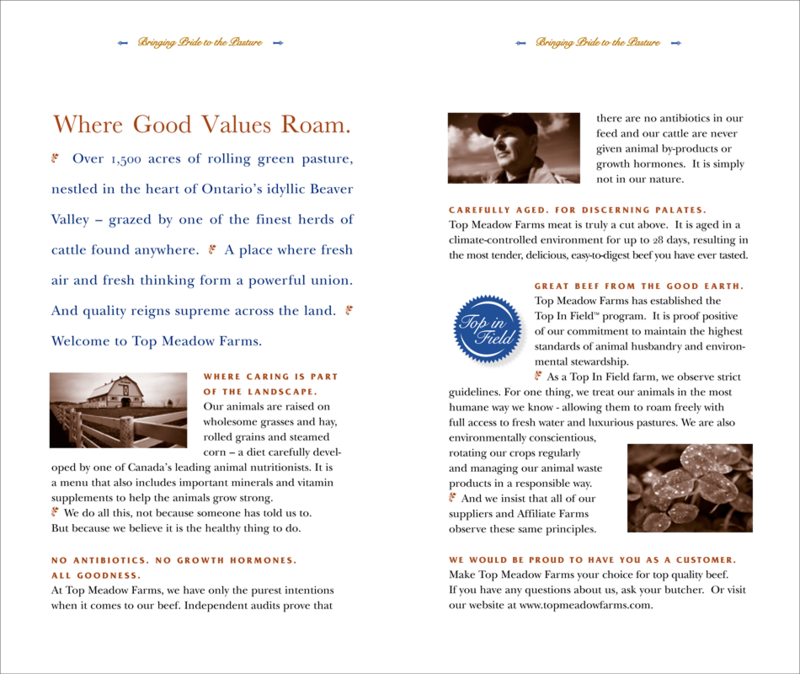 We were called in to develop the positioning of the brand as well as to create all of the launch materials. 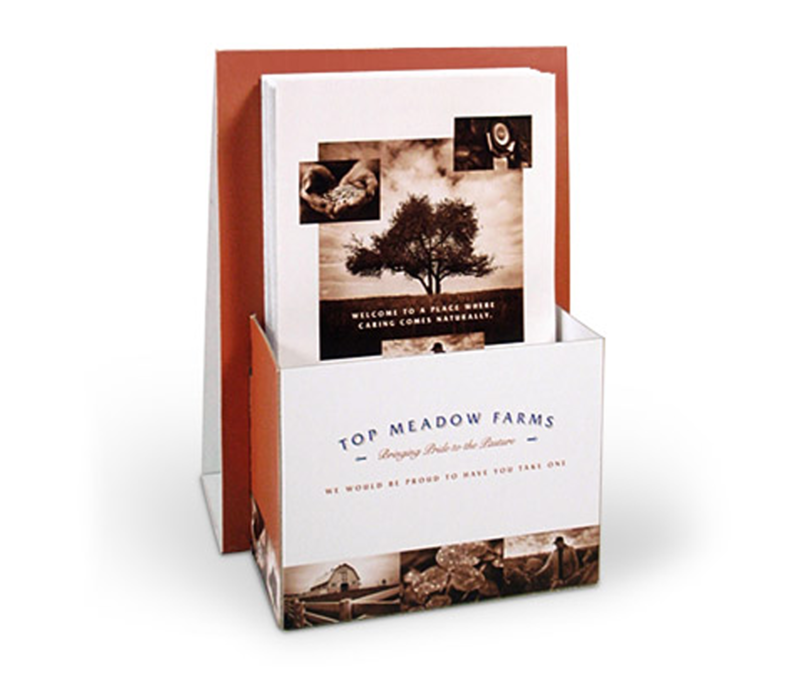 These materials were recognized as top in their field in many creative award shows. 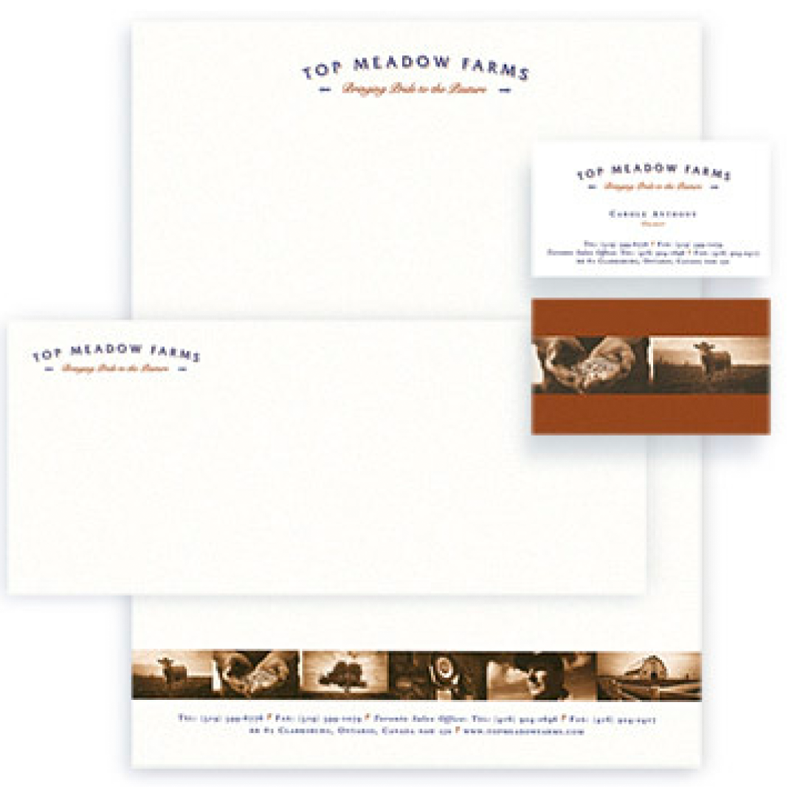 New brand identity and stationary package. 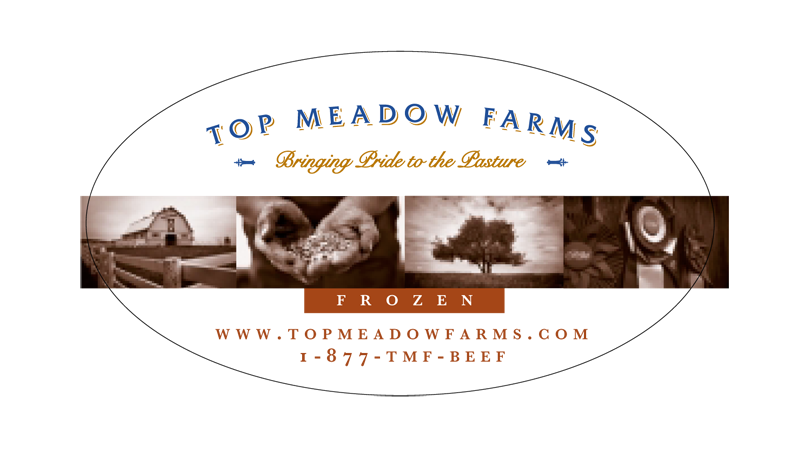 Direct Mail piece, products stickers and point-of-sale material.